Wait, that’s not dancing! It’s Judo! But it sure feels like dancing. There’s nothing quite like flying through the air and landing with practiced grace, or moving around the room with a partner in a calculated effort to put them where you want them. And when the throw succeeds – it’s a thrill unlike anything else I’ve ever done. When you hit that sweet spot, it’s effortless, and if you’re the one being thrown it’s magical. First you’re on your feet, and then you’re on the floor, and you don’t know how you got from one to the other. On Saturday mornings before work I teach Wu Chien Pai to a class of little girls aged 6-12. Today, I had 19 students! 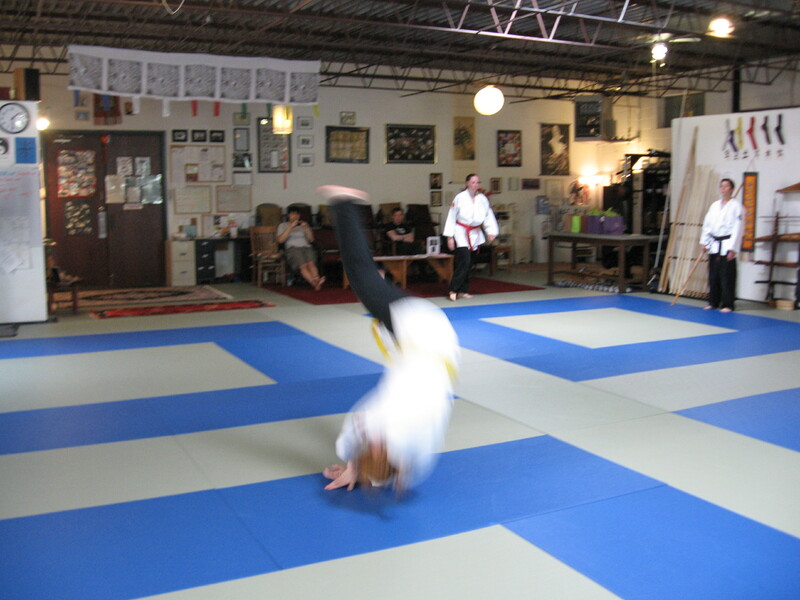 It was controlled chaos, but we started our Judo unit with gusto and a lot of giggling and rolling around on the floor. 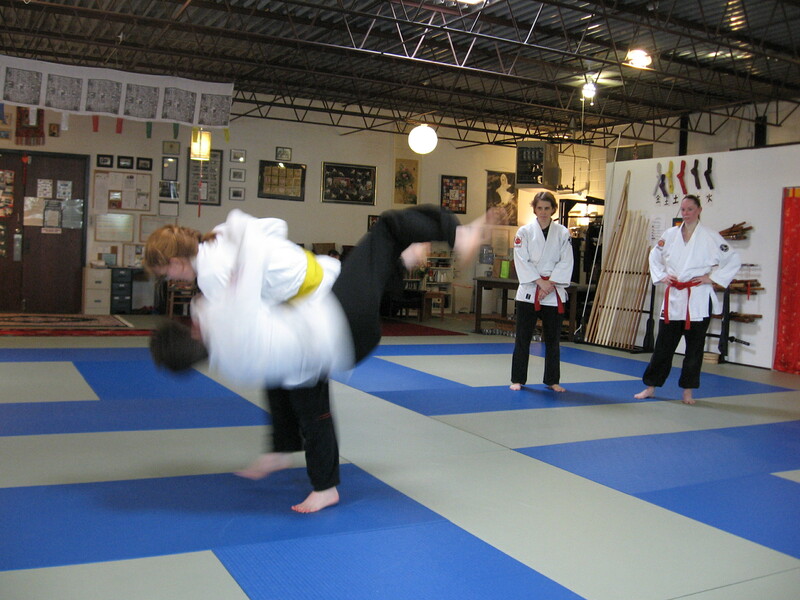 Judo with kids is great because most of them haven’t learned to be afraid of the ground yet. They’re short to start with, so it’s not as far to go, and they don’t know that it can hurt them because they’re down there all the time – playing games, looking at stuff, sitting at storytime or in front of the tv… the list of why kids sit on the floor is endless. With adults, you have to get over wariness and years of ingrained bad habits to teach them to fall in a safe way, but with kids it’s relatively easy.